NES game collecting makes awesome desk art! | Business IT service by Computer Studio Inc.
NES game collecting makes awesome desk art! 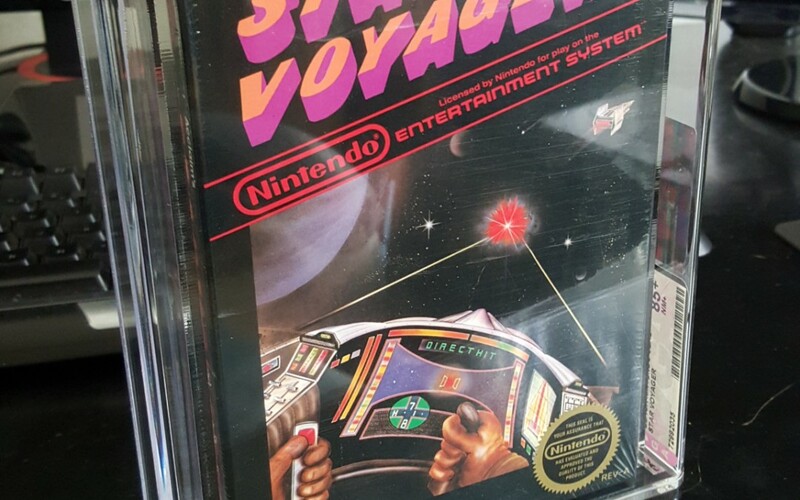 We finally got our copy of NES Star Voyager Revision A released in 1987 with the rare black seal. The game was purchased because we had the desire to grab a piece of gaming history and awesome desk art here at Computer Studio. The game was purchased with a few key criteria, Factory sealed with “H-seam”, Black seal and best condition possible. 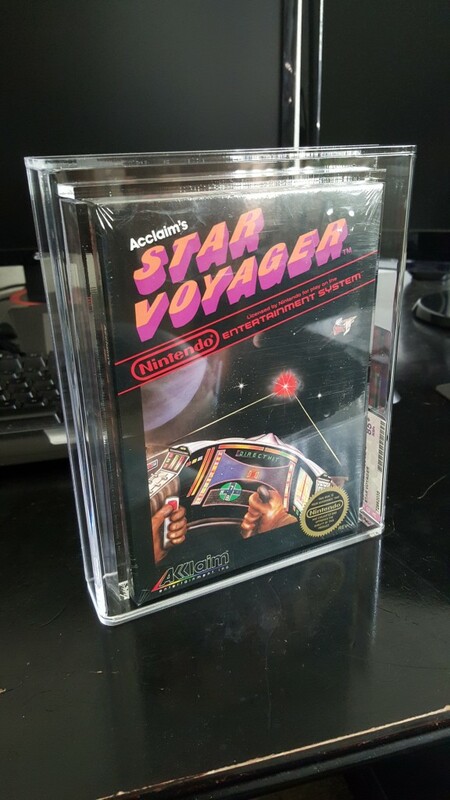 in our case it was a mint looking copy of Star voyager and a added bonus of the original hang tab. It should be noted that the reason we didn’t seek one of our favorite SNES games is because we found out its nearly impossible to fake a NES game and very easy to get a fake SNES game; i read some where on a forum that even VGA get some by them… Yikes! Once our NES gem was found we simply downloaded the forms from the the great guys at VGA. Filling out the form was simple and we made sure to select some quality options offered like the UV protection and cleaning service. Along with our form we included in our package a action figure along with the game since the Video Game Authority and Action Figure Authority are the same folks. After a couple months and some emails from the service with status we received our package with the freshly graded items and us hoping for a high grade! We got what we hoped for with a 85+ Gold rating!! We definitely recommend collecting your old toys and sending them to the VGA to seal, and we think they make great desk art. 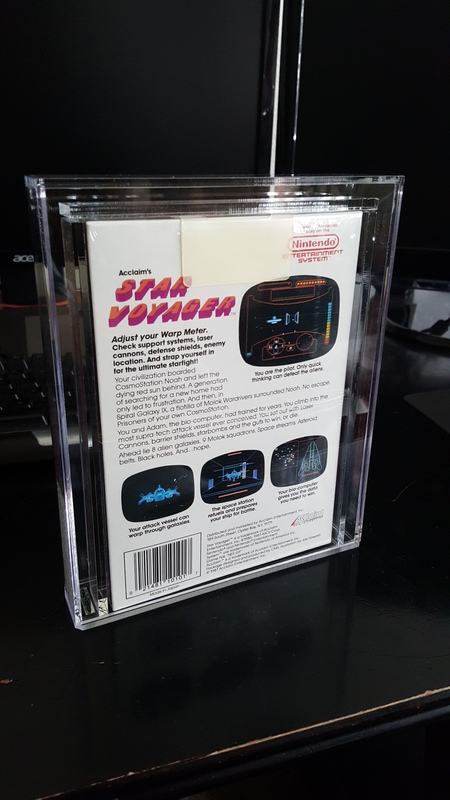 Ours will be displayed, and picking the “classic label” instead of the “Clear view” makes for a clean way to display the item in the sealed case. 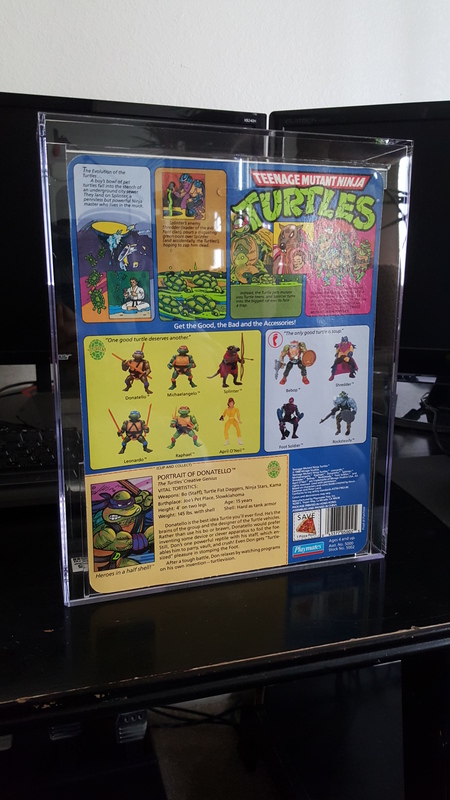 Our other item we sent was a 1988 factory sealed first run 10 bacl unpunched TMNT Donatello plastic head action figure. This one was a little harder to find at a reasonable price and condition, so we started looking for the plastic heads instead of the soft heads. Once we found the right one and got it back from the AFA, we got a more than acceptable 75 Silver rating for our purposes. 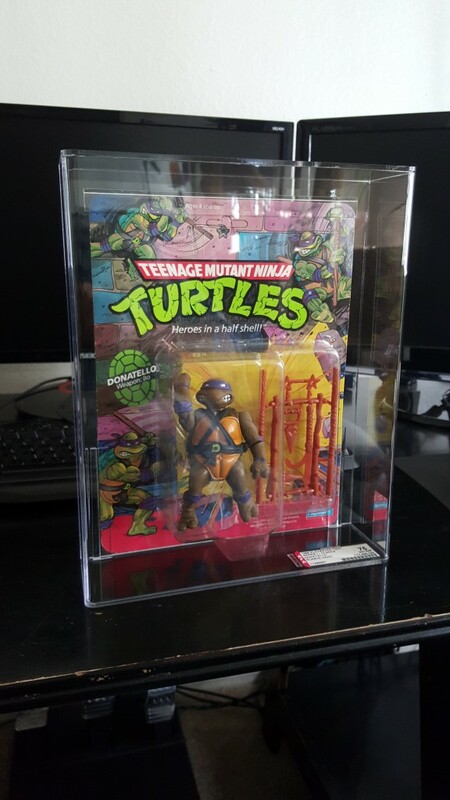 Our own vintage 1988 soft head Michelangelo nearly mint out of package used for desk art. 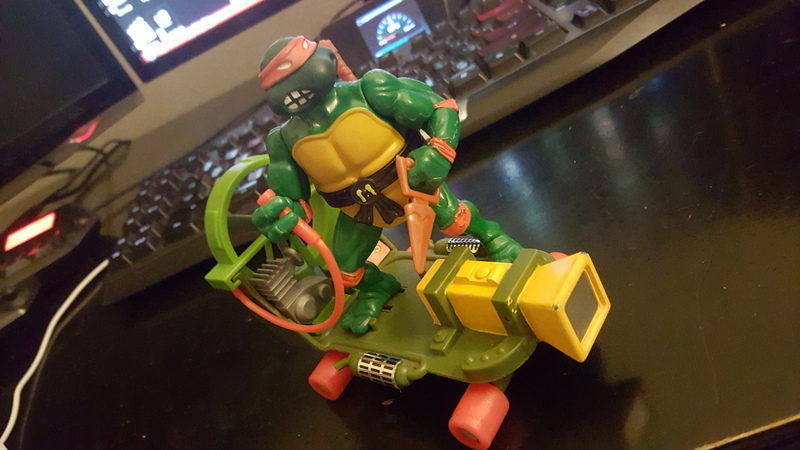 On a vintage 1988 Playmate TMNT Teenage Mutant Turtles Cheapskate Radical nearly mint out of package.